Childcare for infants and toddlers is provided in the nursery, located on the first floor of the education building. The nursery is available during the 9 a.m. Sunday School hour as well as the 10 a.m. worship service on Sunday mornings. Carly Carcelli is the adult attendant. She is assisted by young people of the congregation. Special attention is given to nurturing each child needs. Each room in the nursery is equipped with age-appropriate toys and equipment. You may enjoy the activity or ministry in which you are participating, knowing that your child is in good care. If you wish, feel free to keep your infant or small child with you in worship. If your infant or small child becomes uncomfortable and needs care during the worship service, you may leave the Sanctuary and return as you wish. The worship service audio can be heard in the church parlor, where you and your child are also welcome. Sunday Plus for Kids is designed specifically with elementary-aged children in mind. During the 9 a.m. hour on Sunday mornings, the children participate in Bible-based learning. The first part of the hour is spent in the choir room with Mrs. Nan Bennett learning songs that they eventually sing in front of the congregation. Emphasis is then placed on a particular Bible lesson as the children learn how to apply God’s word to their lives. One of the most important opportunities for children is to grow in faith through times of worship that are meaningful to them. 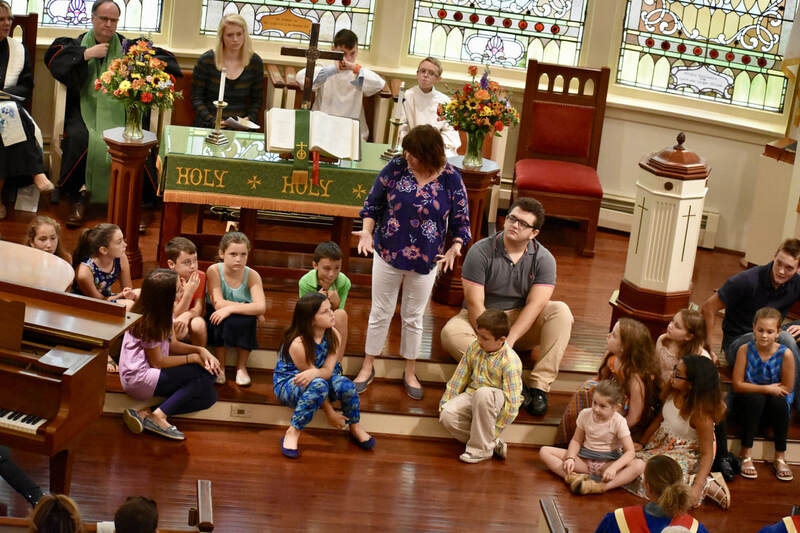 In Children's Chapel, kids become comfortable and familiar with worship in age-appropriate ways. Children begin worship with their parents in the Sanctuary. Following the Minutes-for-Children segment of the worship service, children are dismissed to Children's Chapel in Room 26 where they continue their worship and experience the love of God in stories, songs and hands-on activities with the focus being on a particular Bible or mission lesson. 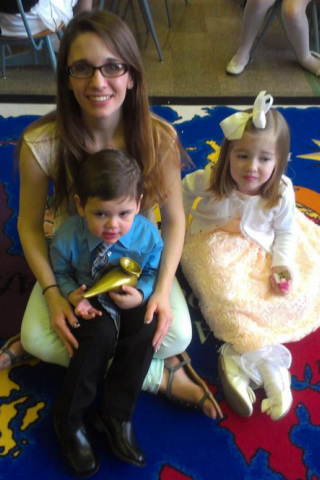 The children also learn to develop the discipline of giving by making their own personal offerings to the church's mission and special mission causes. On Sundays when the sacrament of Communion is celebrated, the children return to join their parents in the service. Wonderful Wednesday is our weekday children's program for preschool through sixth grade. Children get to enjoy Bible study, music, crafts, games and really awesome snacks. We are always looking for volunteers to assist with this wonderful ministry. All volunteers who work with children must fill out the Safe Church paperwork as soon as possible. This policy is to keep our little ones safe in a protected environment. Vacation Bible School is held every summer at PPC. Each year, a new theme is picked and the work begins. The church has been transformed into the county fair, ancient Egypt and the rain forest in recent years. Dozens of helpers come out to make this the most fun week of the year. Please check out the church calendar or contact our office for dates and times.